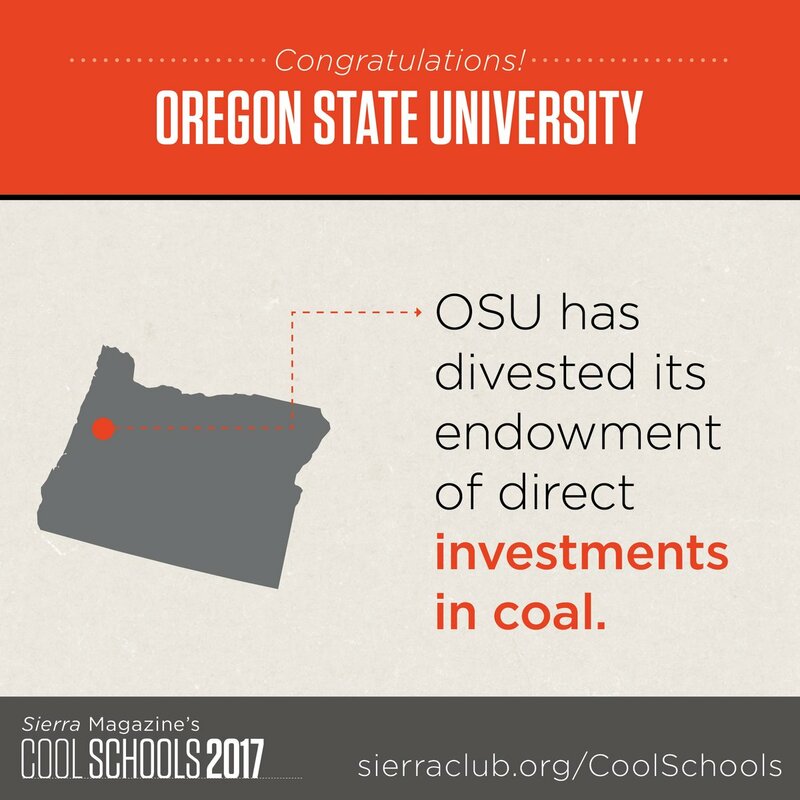 Last week, the Sierra Club ranked Oregon State University as one of the top 20 “coolest schools” in the nation. Out of 227 schools, Oregon State is listed as 20th in the nation. The official article can be found here. This ranking is based on several factors such student sustainability outreach, department and faculty engagement in sustainability research, preconsumer and postconsumer food waste composting, energy consumption, etc. The official scoring key can be found here. 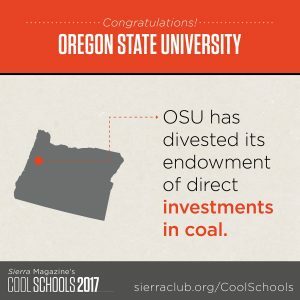 The Sierra Club highlighted Oregon State’s efforts in reaching their carbon neutrality goal by 2025. Oregon State’s Solar by Degrees program led to the installation of 12 acres of photovoltaic arrays. Research on how the solar panels effect soil and crop production is being conducted. Putting crops under the photovoltaic arrays produces more electricity. Brandon Trelstad, the sustainability officer for Oregon State, was excited to learn that growing crops under the arrays could increase solar production. “This is the kind of synergy we look for in sustainability work; systems thinking and looking for co-benefits across those systems.” Trelstad said. Oregon State’s dining services also created the Eco2Go program, which introduced reusable and returnable takeout containers. This prevented 400,000 disposable takeout containers from ending up in the landfill in 2016. Keep up the great work Oregon State!